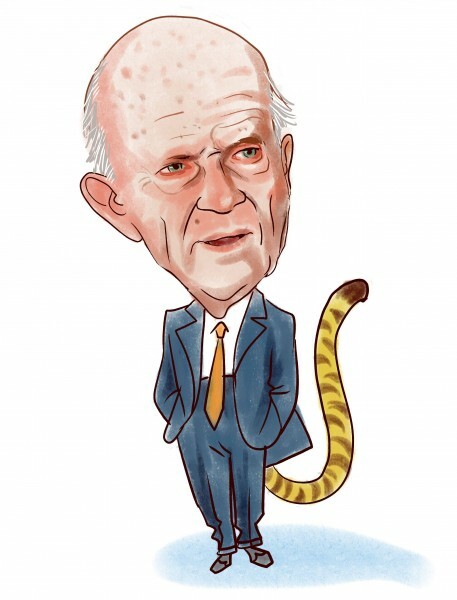 Julian Robertson started Tiger Management in 1980 and it was one of the biggest hedge funds in the world by 1998. However, Julian Robertson closed his fund in 2000 and invested his own capital to seed a number of hedge funds. Several of his former employees also started their own hedge funds and became extremely successful. These hedge fund managers were known as “Tiger Cubs” and currently run some of the biggest asset management firms today. Among the most notorious Tiger Cubs are Stephen Mandel’s Lone Pine Capital, Andreas Halvorsen’s Viking Global, Chase Coleman’s Tiger Global Management, John Griffin’s Blue Ridge Capital, Philippe Laffont’s Coatue Management, and Lee Ainslie’s Maverick Capital. Most of these hedge fund managers follow the same long/short equity strategy used by Julian Robertson. We have selected five stocks: Alibaba Group Holding Ltd (NYSE:BABA), Amazon.com, Inc. (NASDAQ:AMZN), Apple Inc. (NASDAQ:AAPL), Alphabet Inc (NASDAQ:GOOG), and Visa Inc (NYSE:V). Each one of these stocks had at least four of the six aforementioned Tiger Cubs holding shares heading into the fourth quarter. Let’s take a closer look at how these investors traded the stocks during the third quarter and what is the general smart money sentiment towards them. Alibaba Group Holding Ltd (NYSE:BABA) was the new favorite among Tiger Cubs with four of them initiating a new position in the stock during the third quarter. It was the fifth largest holding of Tiger Global Management, which initiated a stake containing 5.37 million shares worth $568 million during the third quarter. Stephen Mandel’s Lone Pine Capital also added the company to its 13F portfolio and held 5.15 million shares valued at $544 million. Coatue Management initiated a new stake by acquiring 2.78 million shares worth $294 million. The stock has advanced by nearly 11% since the beginning of the year. Jack Ma’s company is gaining ground in China owing to a large internet population. Its recent partnership with DreamWorks and Amblin Partners will grant this e-commerce giant the exclusivity to various movie franchises in China. Overall, the hedge fund interest towards Alibaba Group Holding Ltd (NYSE:BABA) went up during the third quarter with the number of funds tracked by us long the stock jumping by 35 to 104 funds that amassed $8.26 billion worth of stock in aggregate at the end of September. Here Is What Hedge Funds Think About Banco Bilbao Vizcaya Argentaria SA (ADR... Is magicJack VocalTec Ltd (CALL) A Good Stock To Buy? Capital Senior Living Corp (CSU): Value Investor Arbiter Partners Backing Up... Newcastle Investment Corp (NCT): Former Third Point PM Bradley Radoff Dumping... Is American Superconductor Corporation (AMSC) Worthy of Your Portfolio? What Smart Money Thinks of American Midstream Partners LP (AMID)?